The trend in housing starts was 216,362 units in May 2018, compared to 225,481 units in April 2018, according to Canada Mortgage and Housing Corporation (CMHC). This trend measure is a six-month moving average of the monthly seasonally adjusted annual rates (SAAR) of housing starts. "In May, the national trend in housing starts declined following several months of stability," saidBob Dugan, CMHC's chief economist. "This reflects a decline in multi-unit urban starts in May that leaves them close to their 10-year average following several months of historically elevated levels." The trend measure for housing starts held steady in May 2018, as the elevated pace of new home construction continued in the Vancouver Census Metropolitan Area (CMA). Increased activity is particularly evident in the multi-family segment, where housing starts have increased 9% so far this year. Langford led the Metro Victoria housing starts in May with an uptick in condo construction. Overall, the trend in total housing starts increased 6% from the previous month and year-to-date (YTD) total starts were up 34%. Rental construction remains the largest driver of housing starts in the Metro area, while single-detached units are down 15% YTD. The trend measure of total housing starts rose in May as a slowdown in single-detached starts was countered by a much faster pace of multi-family construction. The sharp gains in multi-family starts can largely be attributed to a purpose-built rental apartment project that got underway in May. After five months in 2018, multi-family starts in Saskatoon were up by 63%, compared to the same period of 2017. Total housing starts in the Toronto CMA trended lower in May, primarily driven by lower trending apartment and townhome starts. A better supplied resale market and higher borrowing costs continued to weigh down on demand for new homes, particularly for single-detached units. Fewer new home sales have ensued since 2017 and consequently fewer homes were started. Brantford housing starts trended up in May, as overall starts continued to be driven by single-detached starts. Despite moderating prices in nearby Hamilton, some Hamilton buyers continue to make purchases in Brantford's more affordable new single-detached home market. The housing starts trend fell by 14% in May, which was the sixth consecutive month of decline in the Windsor CMA. This month's decline reflected a lower number of multi-unit starts, with apartment starts contributing the most. The recent slowdown in housing starts coincided with a moderation in existing home market activity, which has come off record highs as the effect of GTA buyers waned. Housing starts in Kingston trended higher for the third consecutive month, owing to an increase in the trend for both single-detached and multi-unit housing starts. These new projects are helping to address a shortage of homes in the resale market, as the number of new listings had plunged to the lowest level since March 2005. In May 2018, the housing starts trend in the Sherbrooke CMA was relatively stable. Compared to last year, in the first five months of this year, conventional rental housing starts were up, stimulated by the decrease in the vacancy rate in 2017. Housing starts in New Brunswick dropped 10% in May 2018 compared to the same month last year to continue a trend of lower housing starts so far in 2018. A significant decline in multiples has contributed to a 26% decline in New Brunswick's total housing starts year-to-date. 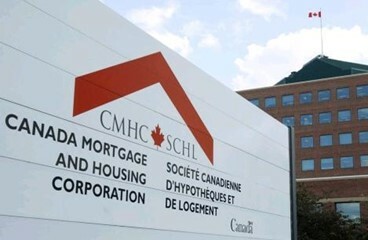 CMHC uses the trend measure as a complement to the monthly SAAR of housing starts to account for considerable swings in monthly estimates and obtain a more complete picture ofCanada's housing market. In some situations analyzing only SAAR data can be misleading, as they are largely driven by the multi-unit segment of the market which can vary significantly from one month to the next. The standalone monthly SAAR of housing starts for all areas in Canada was 195,613 units in May, down from 216,775 units in April. The SAAR of urban starts decreased by 11.1% in May to 178,201 units. Multiple urban starts decreased by 16.4% to 119,811 units in May while single-detached urban starts increased by 2.0% to 58,390 units.